Come to the biggest water park gay party! It’s a unique and different day created to enjoy the sun, the aquatic rides, the music, the performances… and mainly, the energy of thousands of people came from all over the world. A whole year waiting for it! 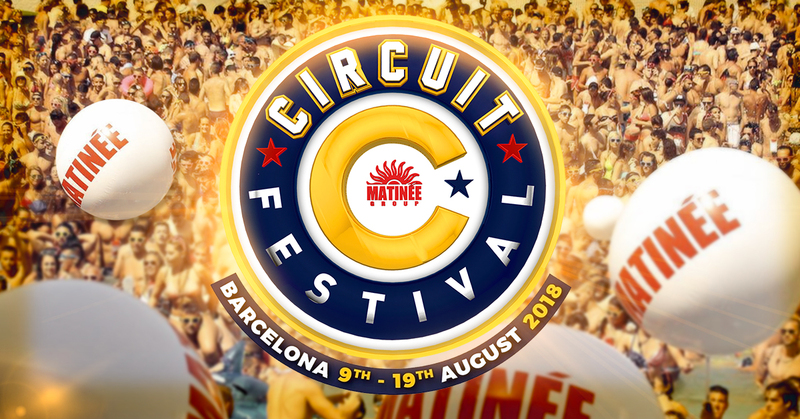 Circuit Festival does not allow you to bring food or drink into any of the venues. During the ‘Water Park Day’, the park’s catering services will offer vegan and celiac food options. From Barcelona: Circuit bus stop right outside Hard Rock Café (Plaça Catalunya, 21). Shuttle service to water park every 5 minutes from 9:30 am to 6:30 am.